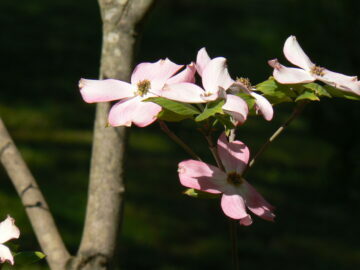 What is the Dogwood Garden Club? The Dogwood Garden Club of Pollock Pines is a non-profit organization established in 1961 for the purposes of promoting local interest in gardening and the beautification of Pollock Pines, and supporting the establishment and continuance of the Pollock Pines Library. We contribute to local charities, schools, youth groups, service organizations, and the El Dorado County Penny Pines Program. Not only do we provide valuable services to our local community, we also have a really good time! We meet the first Wednesday of each month at various locations. Our meeting program consists of field trips to nurseries, public and private gardens and museums. We are the largest Pollock Pines community-based organization with over 75 members! There is a modest annual membership fee. To join please fill out our New Member Form and mail to PO Box 1074, Pollock Pines CA 95726.